Built for easy and convenient transportation with its 200mm big and wide wheels. The height can be adjusted for comfort. 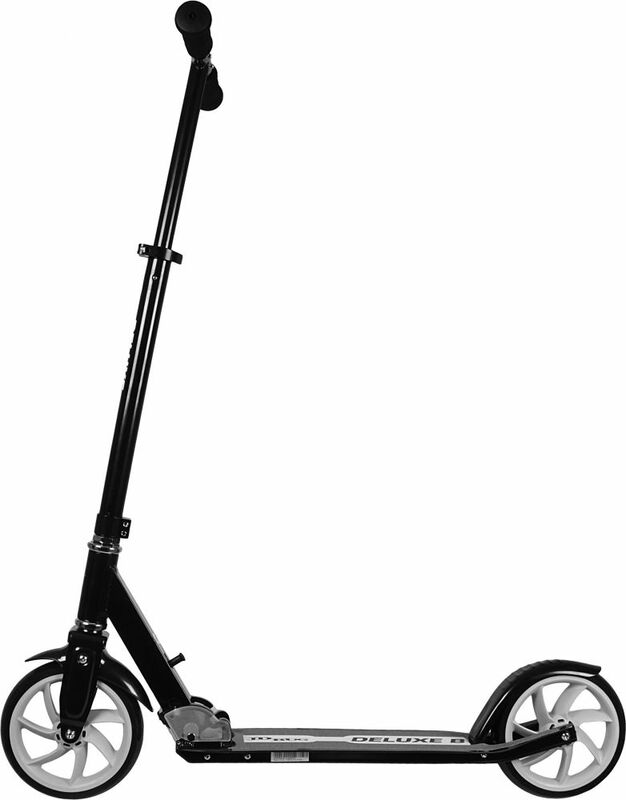 Foldable design takes up minimal space, and the ergonomic handle for folding is easy to use. Recommended age 8 years and up. Dispatch and receipt was ideal - nice and quick, and safe. Thanks SkatePro. On the scooter, mixed... it's big enough, rolls well, and the wheels are big enough to take the bumps. 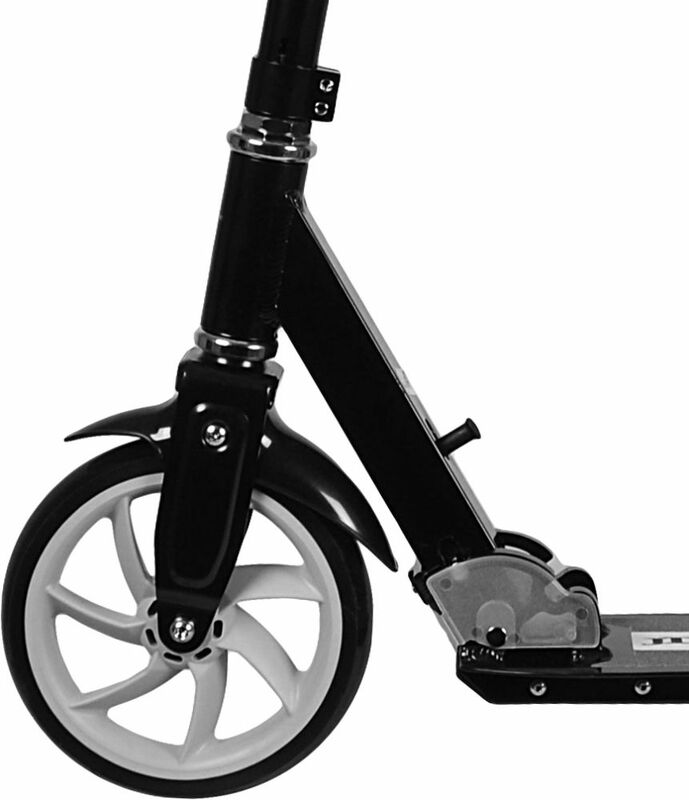 I'm disappointed with the brake - scooters with rubber wheels tend to brake ok, but the material on this scooter is like vinyl; very smooth (to be hard-wearing) and so the brake has almost no effect in any kind of damp. I also find the looseness of the folding mechanism makes for a really irritating rattle. It's OK when I'm riding the scooter as the weight holds all the pins and springs etc. in tension, but if you step off to push it up a hill, it rattles and clonks like a bag of spanners. Excellent service, prompt delivery, great scooter. 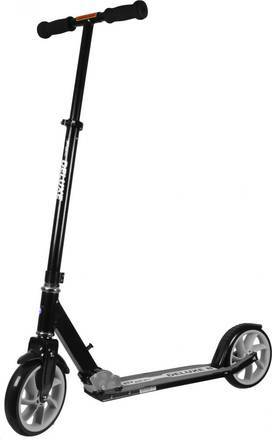 Delighted with this scooter for my teen with special needs. It's tall & sturdy. 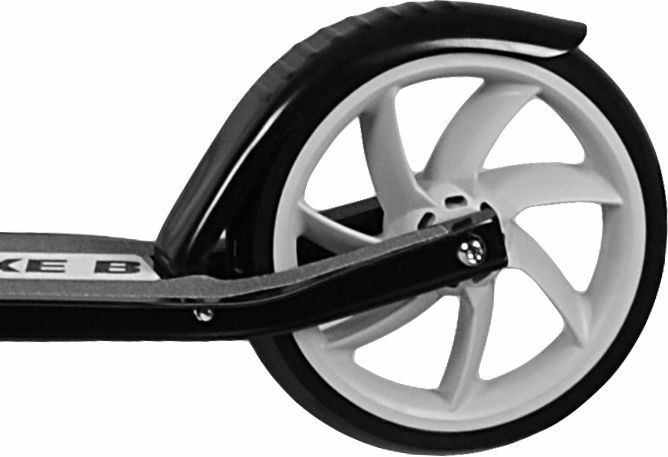 The bigger wheels means it's smoother & not too noisey on bumpy ground.